There's no doubt that Jamie Foxx has got a certain charm about him. But who knew he was so talented that he could make even the most awful Tinder profiles sound kind of appealing? 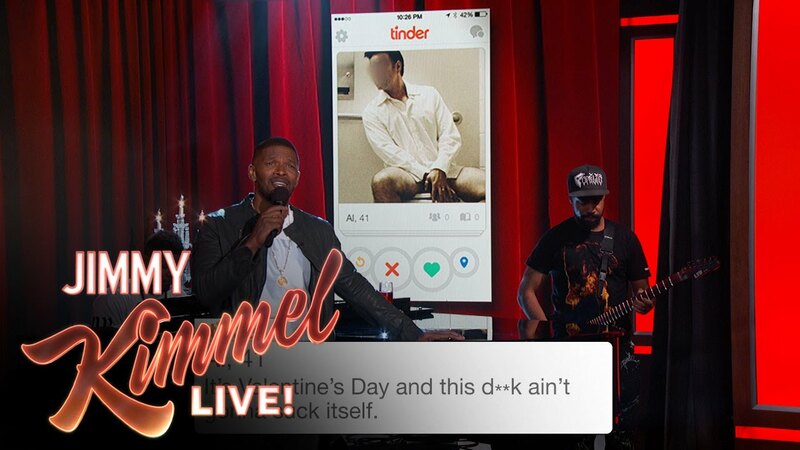 The 'You Changed Me' singer was challenged by Jimmy Kimmel to sing some Tinder profile quotes in front of a live studio audience, and he did a pretty good job. "They’re fun to read, but we thought it might be more fun to hear them set to music," Kimmel said. "And Grammy Award winner Jamie Foxx was more than happy to oblige." Watch what happened in the funny video above.